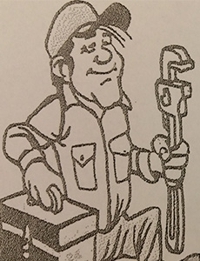 Are you looking for plumbing services? If so, AAA American Quick Sewer and Plumbing is the correct choice for you. We have the knowledge and experience to assist you in all kinds of plumbing services. Our team can help you install the perfect basement pump to prevent basement flooding and humidity damage at your home or business. At AAA American Quick Sewer and Plumbing, we offer reliable sewer and drain cleaning services for residential, commercial or industrial customers in northern New Jersey area. We specialize in rooter and drain cleaning, water heater services, home boiler services and many more. Reach out to us today at (973) 302-5784 for all of your necessary plumbing and sewer services. Copyright © 2018 americanquickplumbingnj.com All rights reserved.